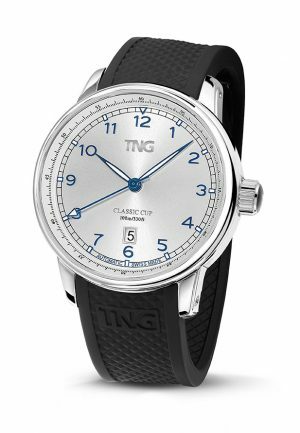 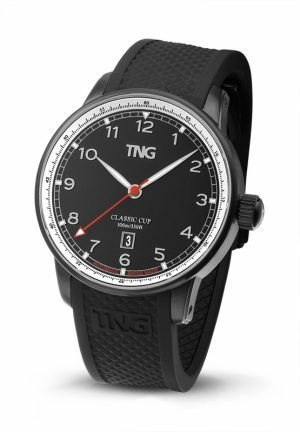 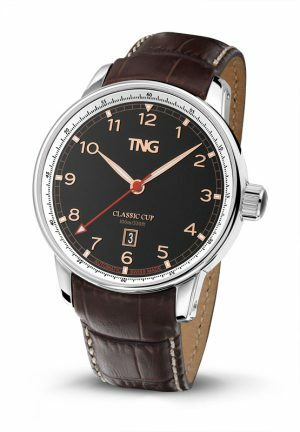 This elegant TNG Classic Cup Automatic – TNG10157F time-date model with a fully automatic ETA 2824-2 movement has a power reserve of 38 hours. 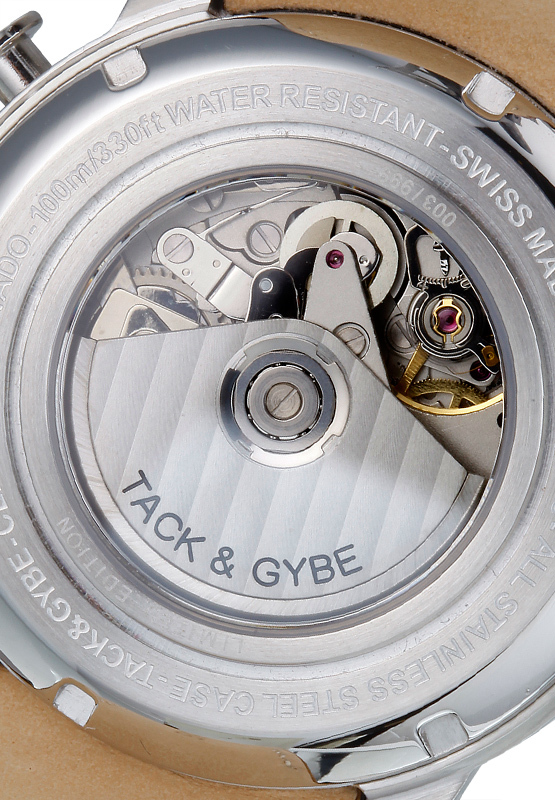 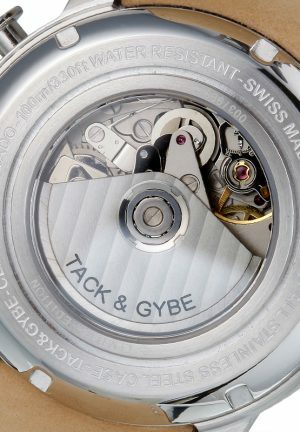 The Key feature in the design is the simple dial combined with a blue and/or red second hand. 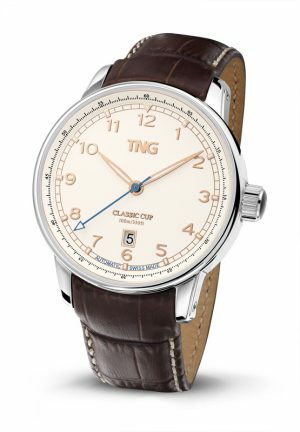 The Classic Cup Automatic is a timeless model at a very competitive price.